A provider of innovative power management and precision analogue solutions, Intersil, has announced the industry’s first four-channel analogue video decoder with MIPI-CSI2 output interface that supports the latest generation of SOCs and application processors used in automotive around view systems. The ISL79985 is the newest member of Intersil’s market leading video decoder family, and replaces up to nine discrete components with a single chip to preserve critical board space. It delivers superior four-channel analog decoding performance for generating 360° around view video to detect objects around the vehicle and assist drivers with backup and parking. Automakers are adding Advanced Driver Assistance Systems (ADAS) as standard and optional equipment, driven largely by the demand for more safety features for all light passenger vehicles. 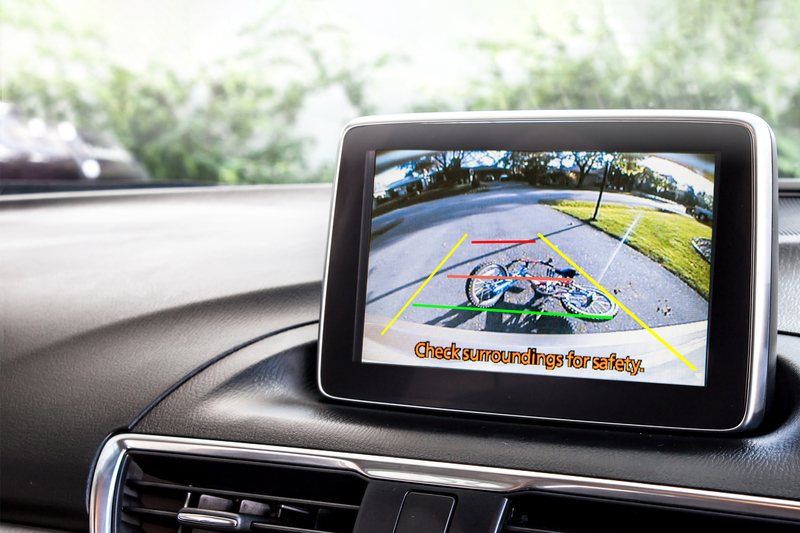 Most new models today have a standard backup camera, and offer ADAS options including around view camera systems for parking assistance and blind spot detection. The National Highway Traffic Safety Administration (NHTSA) estimates that rearview cameras can reduce back-over fatalities by more than 50%. Accordingly, automotive image sensor penetration in vehicles is increasing, and ABI Research estimates shipments will reach 197 million by 2020. The ISL7998x family also includes the new ISL79986 with a line-interleaved BT.656 interface. The new video decoders provide motorists with detailed, high-quality video, enhancing their ability to see objects around the entire vehicle. An around view monitor system, also known as a surround view monitor, processes video from four cameras and then stitches the four images into a single birds-eye, top-down view as if a camera was stationed directly above the vehicle. The monitor helps drivers visually confirm the vehicle’s position relative to surrounding objects for easy maneuvering and parking. The ISL79985 and ISL79986 integrate four analog video decoders with 10-bit ADCs to support four analog camera CVBS inputs simultaneously. The ISL79985’s MIPI-CSI2 interface lowers system EMI, reduces the number of pins compared to a traditional parallel interface, and makes it easy to interface with the newest SOCs and ADAS processors. Both decoders include Intersil’s proprietary Automatic Contrast Adjustment (ACA) image enhancement feature that adapts to rapidly changing lighting conditions. ACA is able to automatically increase or reduce brightness and contrast to optimize the image for greater visibility and safety in low light and sunlight glare conditions. The ISL79985 and ISL79986 can be combined with the ISL78302 dual LDO, and ISL78322/ISL78228 dual synch buck regulators to manage power rails for the video decoder, memory, SOC or FPGA in an around view ADAS application.